Joy all around! Now to instill the sense of JOY into our students and into our teaching! When I was still a newish teacher, I ran into a former second grade student who was then in middle school. As we chatted, she said, "You were my favorite teacher. Do you know what I loved the most from second grade?" As I egotistically reminisced (in my own head) about which fantastic lesson she might remember: was it Writers' Workshop? Learning about the rain forest? Box it Bag It math? Umm. . . no. . . she delightfully said, "Chicken Fat!" Chicken Fat?! Chicken Fat (also known as The Exercise Song) was a silly, but fun exercise cassette tape song (about 6-1/2 minutes long) written by the same composer of "76 Trombones" from "Music Man". It was originally written in the 1960's for John F. Kennedy's Presidents' Council on Youth Fitness. It is a catchy, silly tune that sticks in your head! 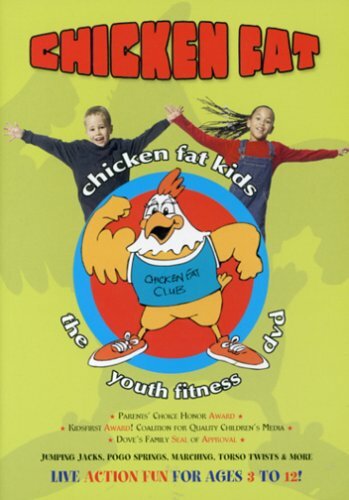 I remember doing Chicken Fat when I was in elementary school and loved it; we all laughed and marched and exercised as a class. So when I started teaching, I did not know what to do for my required PE with my class. I was happy to find a cassette tape with Chicken Fat and began to play it. Just like when I was in school, my own students loved it, too. (Obviously, since THAT is what she remembered! Not any math or reading lessons!!) I just discovered it is STILL available, now as a DVD! Click on the picture below to check it out! In an ideal world, there'd be school money for gym, art, drama, computers, and all those other "fun" activities. So many of our students NEED non-academic time to find joy in school. However, if you're at a school without a PE coach and if you're not very athletic (like me!! 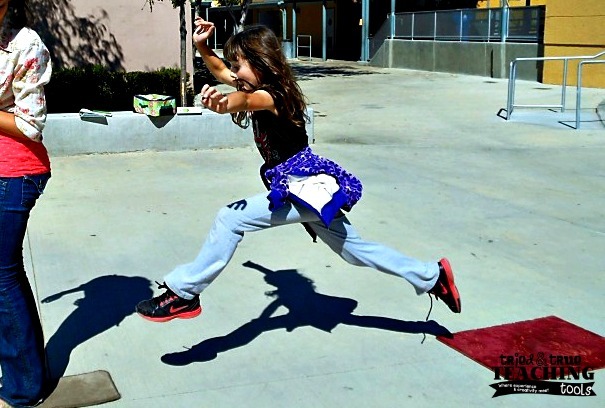 ), there are several other options to still get your kids moving! 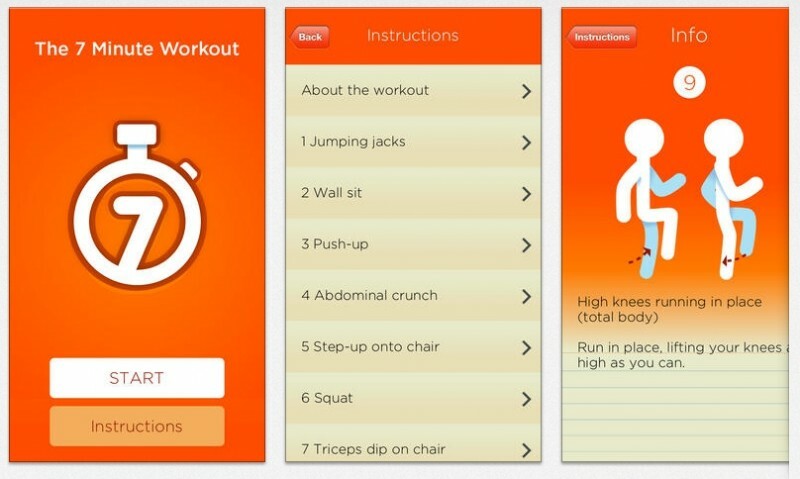 A more modern version of Chicken Fat is a free iPod/iPad app called 7 Minute Workout. You can play it either as audio only (hook speaker into iPod), or if you can project onto a screen, there are visual cues so students can follow along. Again, my class LOVES stopping to work out! And I don't feel like I'm wasting academic time; it's only 7 minutes long and after we are finished, my kids are ready to go back to work! In the beginning of the year, I always ask my families if they have a talent they would like to share with the class. Some years, I am fortunate to have moms who teach dance or yoga. Many years ago, I had a parent who asked a yoga studio for old yoga mats. He was able to get 35 used mats donated!! I used those for many years, until they became too trashed to use anymore. 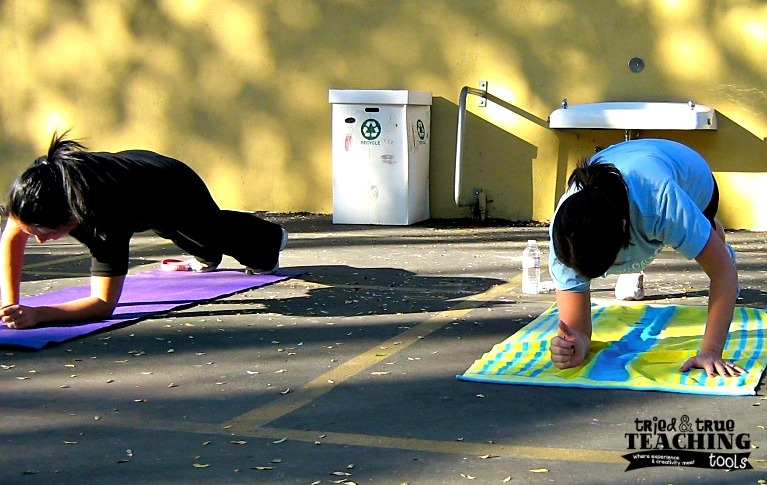 So now, if we do yoga, we just practice right on the ground & my kids don't seem to mind. 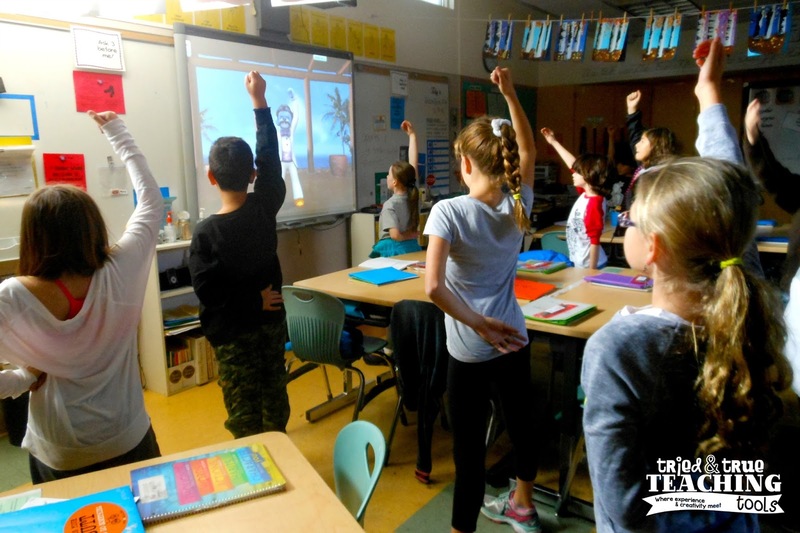 Spending just 30 minutes stretching, breathing, and balancing helps my students stay more focused throughout the day. 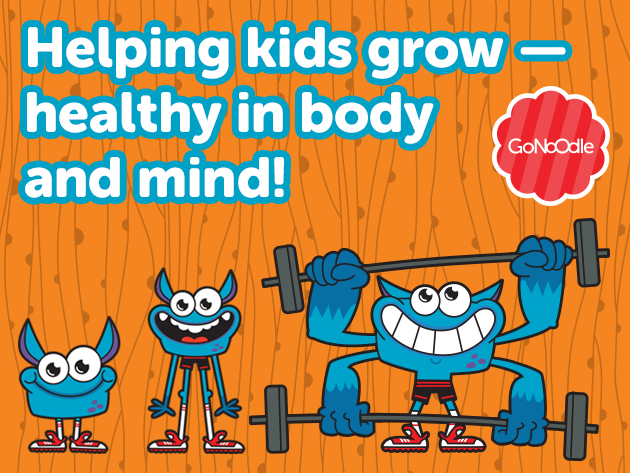 Another option for getting your students moving and taking Brain Breaks is Go Noodle, a website with hundreds of short videos to release endorphins and get the blood flowing. It's scientifically proven to improve mood and cognition. There's no prep required, you just need a screen to project the videos. 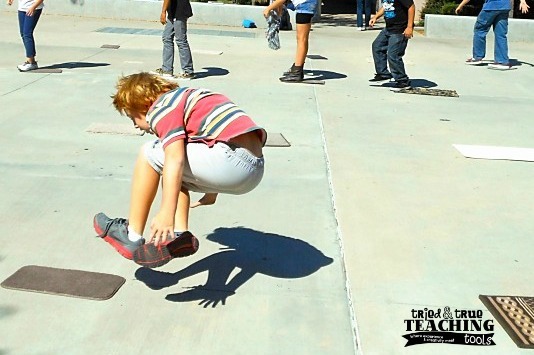 Students run, jump, stretch, dance to get active, or to calm down with deep breathing exercises. 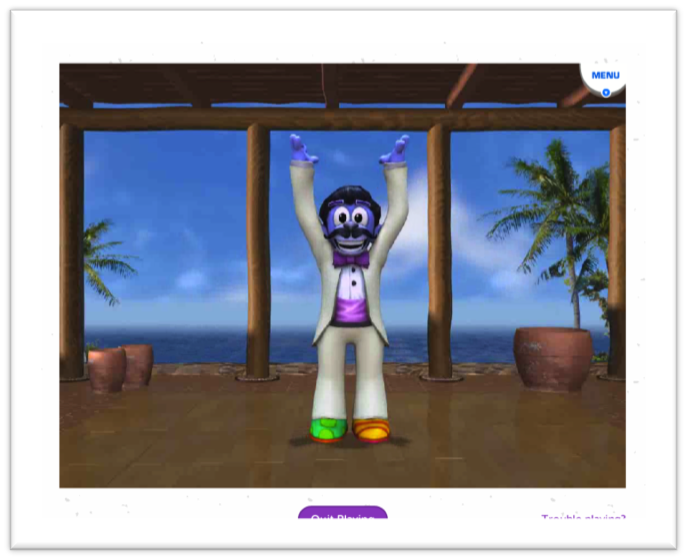 This is Maximo, one of the "teachers" on Go Noodle. I can't begin to tell you how much my class LOVES him!! He has a Spanish accent and leads the class through exercises and poses. My kids beg for Maximo, along with Kids' Zumba and some of the other videos. 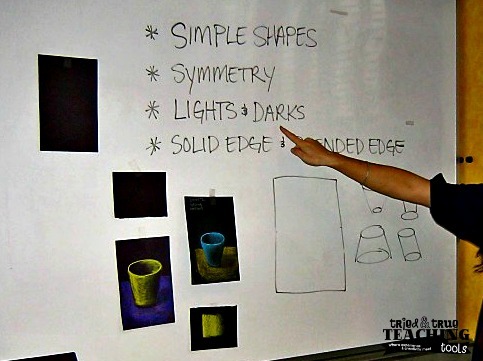 Along with gym and physical education, the arts need to be back in schools: visual art, drama, music! I am lucky enough to have an art teacher at my school and I watch as my students' faces light up when she comes to our room. 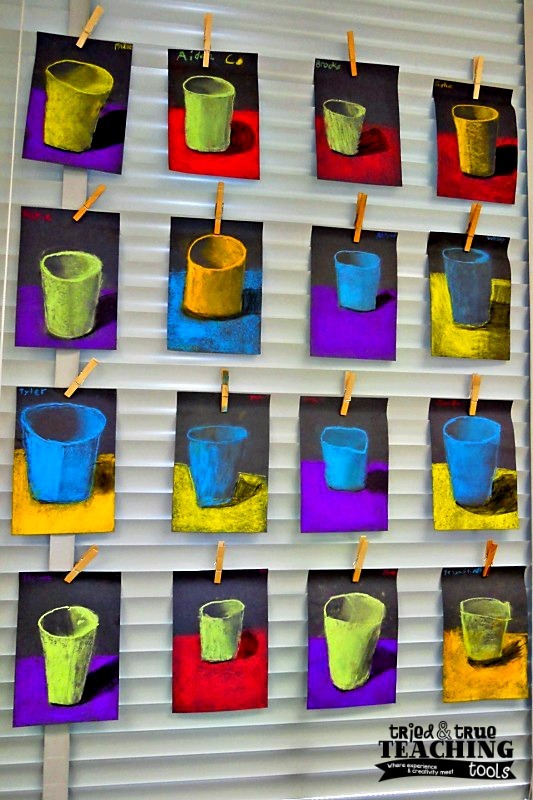 I'm always amazed at the success of each child and how good they feel when they see their final art projects! 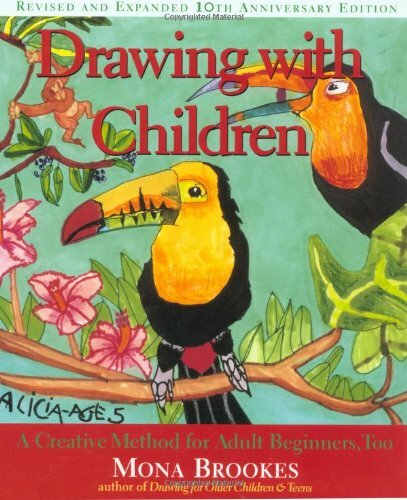 But for those of you who do not have an art teacher and are NOT artistic, I've used a fantastic book for 20+ years: Drawing with Children by Mona Brooks. 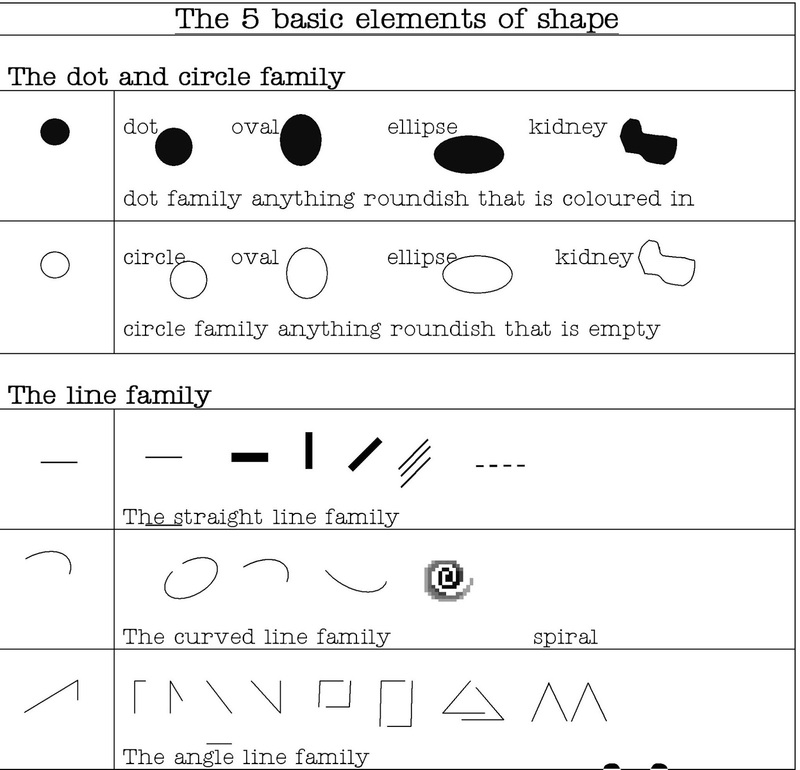 She teaches lines and shapes, then guides the reader to use those lines and shapes to draw forms, step by step. The book is easy for adults to follow, as you read and draw in front of your class and they follow. From the age of 4, my oldest daughter was lucky enough to take classes at MonArt, the studio founded by Mona Brooks. Although she is now a young adult, she is an incredible artist and photographer, beginning from learning how to successfully draw. The increasing emphasis and focus on test scores has really sucked the joy out of learning. How to learn about your students' progress without excessive testing? This is a whole other post, one I will save for another time! 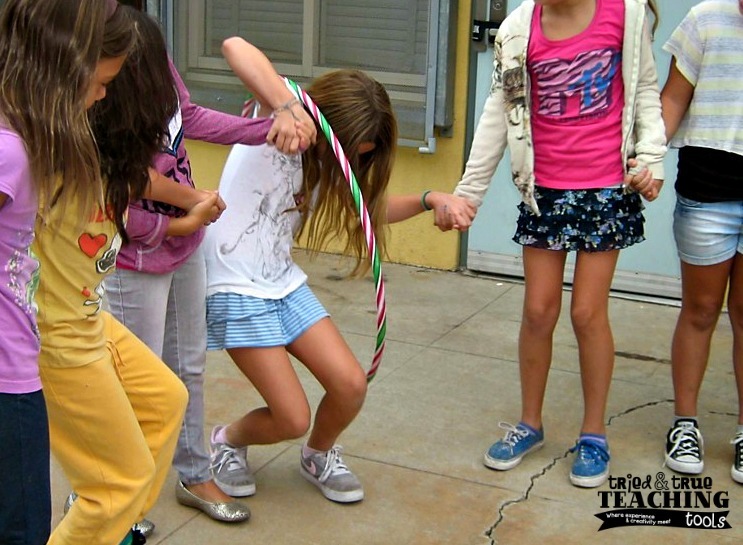 Team building and just doing out-of-the-ordinary activities brings JOY back into learning! This was a mat relay race: in teams, students have to get from one mat to the next, without touching the ground. They could use teammates to help them. They had to rely on each other to get across quickly and safely. Lots of laughter! And having some fun together does not only mean with your students!! For a couple of years at my school, teachers got together after school twice a week to work out! We did everything from yoga, to zumba, to boot camp! We laughed, moaned & groaned together and became closer, outside the classroom walls. For a multitude of excuses reasons, we no longer have our afternoon workouts (and I sure do miss them!!) But we do have a monthly book club, where we read non-teaching books for pleasure and meet to discuss. Knowing each other as more than just colleagues has bonded our staff together, just as having fun with your students and not just doing schoolwork, will bond your class together! 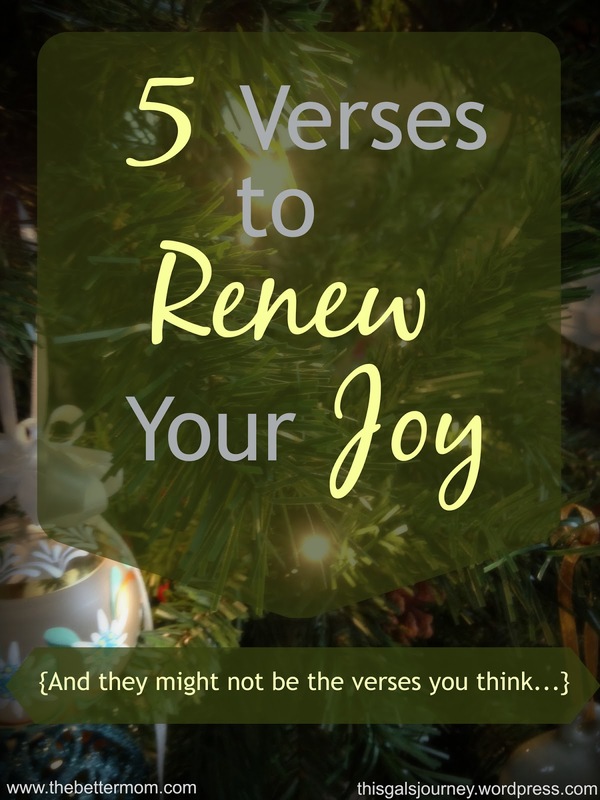 Thanks for joining me in JOYful Learning & reading to the end of this very long post! I hope you've come away with some ideas or at least a smile on your face! Happy holidays! I still remember the hula hoop activity when I subbed for you! I love it!